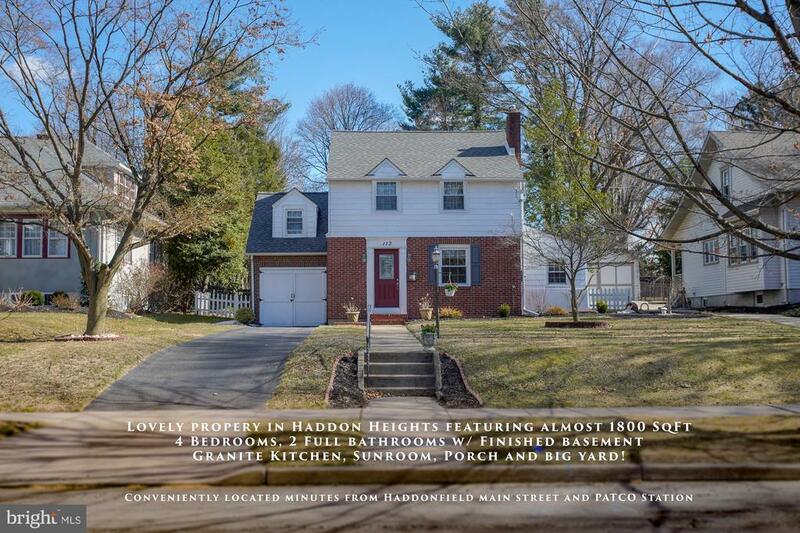 All Haddon Heights homes currently listed for sale in Haddon Heights as of 04/22/2019 are shown below. You can change the search criteria at any time by pressing the 'Change Search' button below. 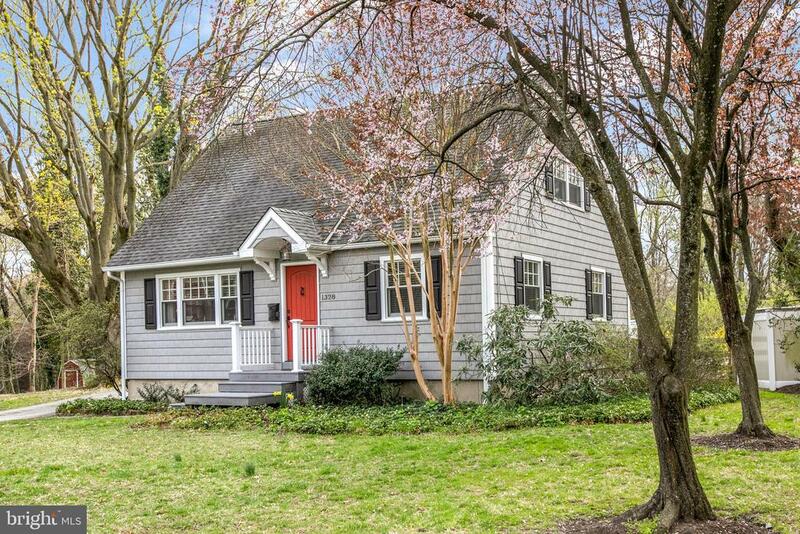 If you have any questions or you would like more information about any Haddon Heights homes for sale or other Haddon Heights real estate, please contact us and one of our knowledgeable Haddon Heights REALTORS® would be pleased to assist you. "It's finally here and ready to show! 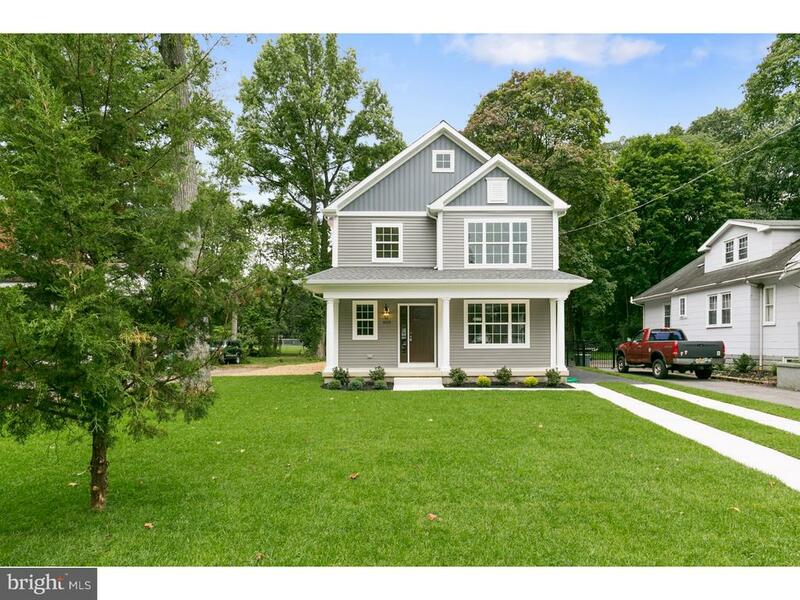 Here is a very rare opportunity to own a brand new construction home in the prestigious Eastside of Haddon Heights. This large home has everything you need including features like walk out master suite balcony, finished basement, 2nd-floor washer/dryer room. It has modern amenities such as built-in wifi access points, wired for smart home technology with CAT6 lines, Nest thermostats and Ring entry system. This gorgeous new home has conveniences of a large walk-in pantry, lockers for your kids and gas hookup for your outdoor cooking. The back yard is fitted with a stone patio and plenty of grass space for your imagination and fun outdoor time for the whole family." "East side Victorian with stone/vinyl exterior and wraparound porch. Owners have invested well over $100K in recent improvements. 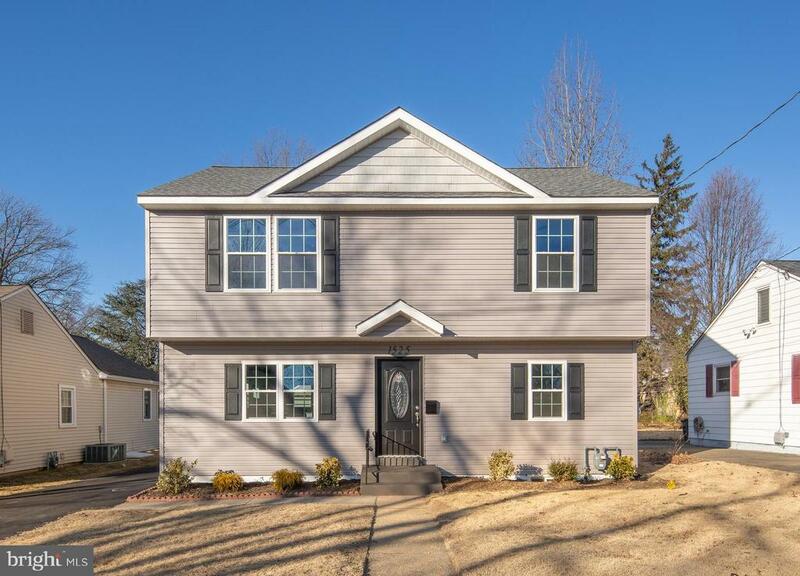 5 bedrooms, 3 1/2 new baths, new custom kitchen with espresso cabinets and a mix of white with a farmhouse sink, stainless steel appliances, gas cooking, pantry & tile backsplash. You will love the vaulted family room with skylights and separate Mitsubishi split ductless (AC unit). The living room has lots of windows, gas fireplace and pocket doors to the adjoining dining room. The grand chestnut staircase leads to the second level offering 3 bedrooms, hall bath, and newer master bath! The upper 3rd level offers 2 more bedrooms and a storage closet, also has a back staircase to the kitchen! Don't forget the now dry $8,000, French drain basement, newer windows, newer AC, fenced yard, 2 car detached garage and gas Weil McClain heater and hot water heater ($22,000). This home has fresh paint and a fabulous yard, seconds to the school and downtown! You will love this home!" "Price Reduction! 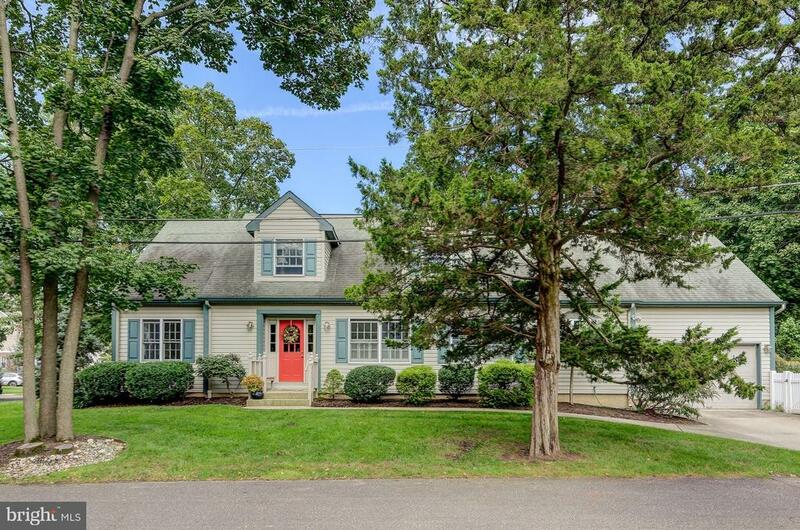 EAST SIDE Colonial offering over 4,000 sq ft of livable space! Charming front porch greets you as you enter this beauty. This 5 bedroom, 3.5 bath completely updated well maintained home will wow you! Gourmet eat in kitchen with quartz countertops, subway tile back splash and expansive island is perfect for entertaining! OPEN CONCEPT kitchen and spacious family room features gas fireplace, built in bookcases, crown molding and gorgeous hardwood floors throughout the first floor. Walk out from kitchen to deck overlooking backyard with space to play! Very spacious and open dining room is perfect for large gatherings. First floor office and half bath included. 2nd floor features a Master Suite with 2 walk in closets, expansive room and master bath with double sinks. There are two more good sized bedrooms, a full bath and laundry on this 2nd floor for your convenience. 3rd floor provides two additional bedrooms and a full bath. Did I mention there are closets galore throughout this well planned home! The basement is every family's dream! Offering a bar area with wood flooring, a separate middle room for exercise equipment or game room, and a spacious carpeted additional family room area dream come true. Dual zone HVAC. A utility room provides a workshop and access to backyard. Don't miss this gem! So much home to call your own! Close to all major highways (NJ Tpke, Rts 295, 30, 130) and minutes to PATCO or Phila. You won't be disappointed!" 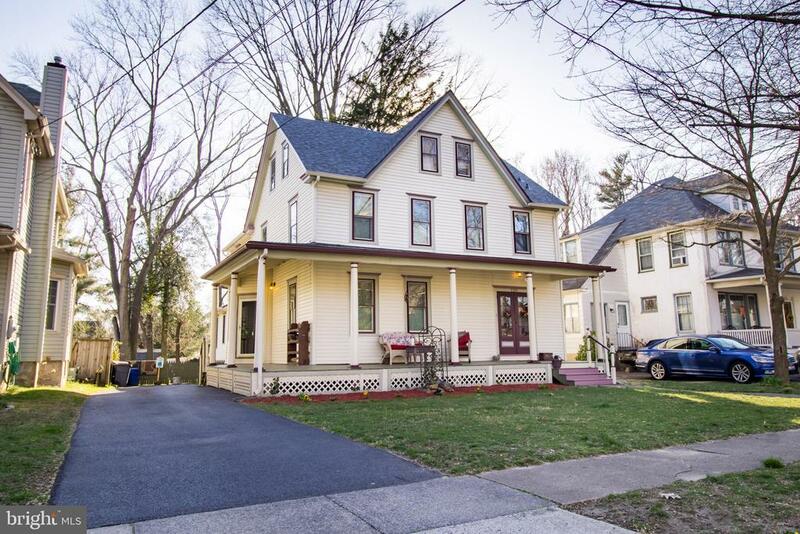 "Charming and renovated turn-of-the-century, 3 story Victorian located in historical Haddon Heights with wrap around porch featuring 5 bedrooms and 3 1/2 baths. As you enter the front double, pocket doors notice the original chestnut molding, large foyer and newly refinished wood floors throughout the first floor. 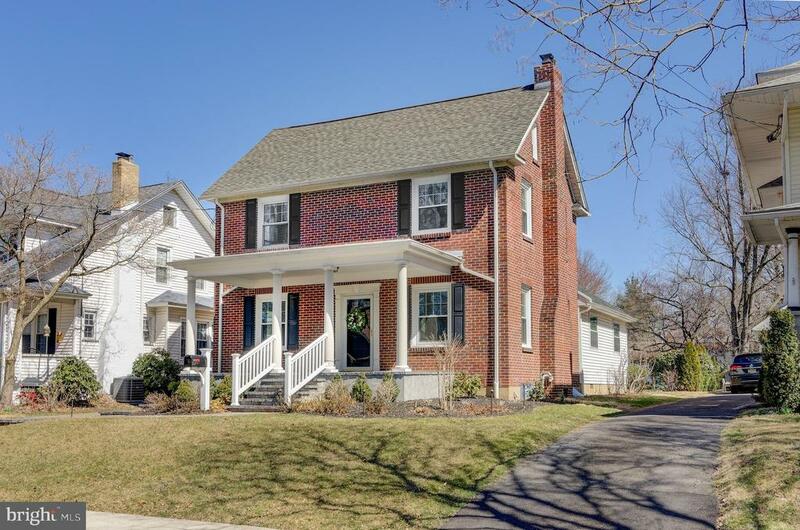 This home built in 1892 presents an 1100 square foot addition which extended kitchen, added a family room, additional baths and a large master bedroom. New crown molding and plaster paint techniques compliment the interior beauty of this Victorian as well as the accent colors on the exterior trim. The first floor kitchen has solid maple cabinetry, granite countertops, a restored chestnut pantry and 1st floor laundry. The open floor plan allows dining and access to the family room with cathedral ceiling. As you enter the driveway side door there is a tile hearth with an air tight wood stove for cozy, cold weather. The first floor also has an additional office/exercise room. The second floor highlights two stairways for easy access and 2 walk-in closets. There is a large master bedroom & bath, an additional BR with French doors and a third guest room/nursey. There are 2 newly tiled, full baths on the second floor. The third floor displays two full size bedrooms with closets. The entire roof was replaced in 2017. The property has two zone gas heat/central air conditioning. The basement is unfinished but offers plenty of work space and storage. The back yard has a newly refinished deck and large patio with a hot tub. This home is located conveniently between Camden County Park and downtown with easy access to elementary and high schools. 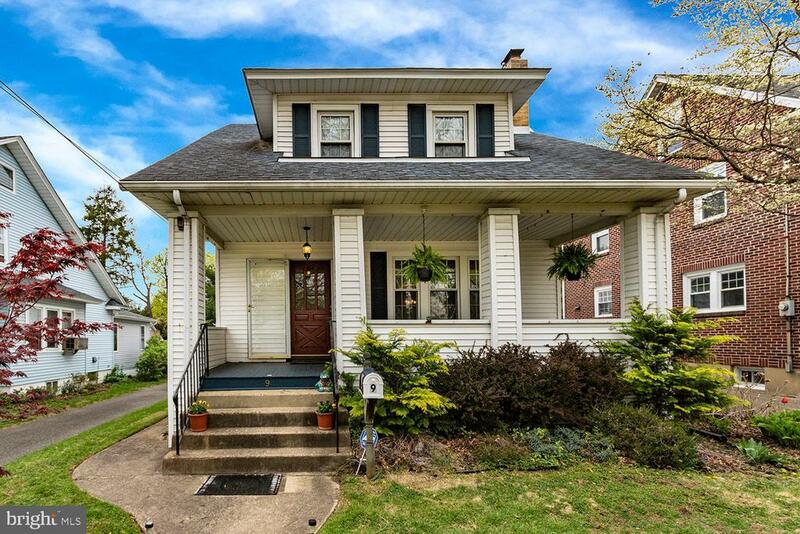 Haddon Heights is a quant yet progressive area to raise your family, enjoy local fare, farmers market, shops, and parks all within 2 miles to PATCO or a 15 min drive to Philadelphia." 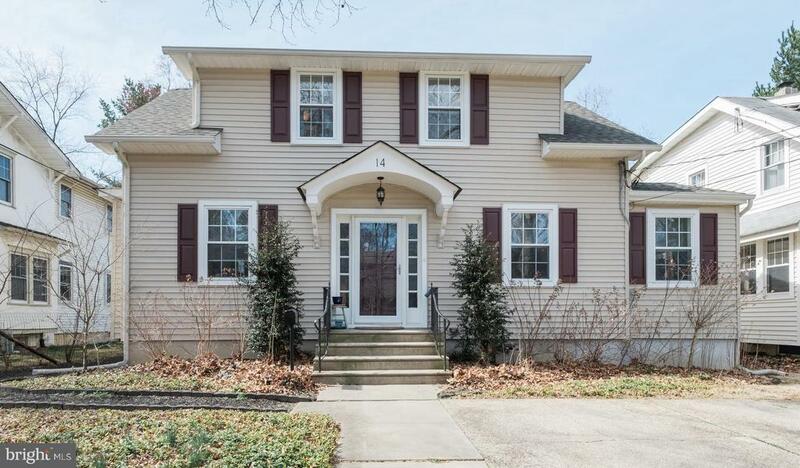 "Once you enter this classic, brick Colonial home located on a tree lined street in the desirable East side of Haddon Heights, you will without a doubt feel at home. This meticulously maintained home offers 4 bedrooms, 2 full and 2 half baths. Upon entering this gorgeous brick, low maintenance home, you're greeted with hardwood floors in the living room and dining room. Towards the back of the house is an addition with a large family room, eat in kitchen, island with granite counter tops, custom cabinets and stainless steel appliances. You will immediately appreciate the wonderful entertaining flow this area offers with a fire place and large deck just outside. Topping off the 1st floor is a mud room with a side door entrance, the Bar/ butler's pantry with a granite counter top, and a half bath. Upstairs is a large master bedroom suite with vaulted ceilings, large closets, and a master bathroom with a walk in shower and Jacuzzi tub. There are three more generous sized bedrooms and another full bath. To complete this home there is a finished full basement with a game/entertainment room, which has a half bath and laundry room. Don't forget the sprinkler system, alarm system and garage. This house is conveniently located near major highways and minutes to Philadelphia and the PATCO Speedline. It is close to local public and parochial schools, restaurants, and a beautiful downtown shopping area and parks. Come see this beautiful home and make it your own!" 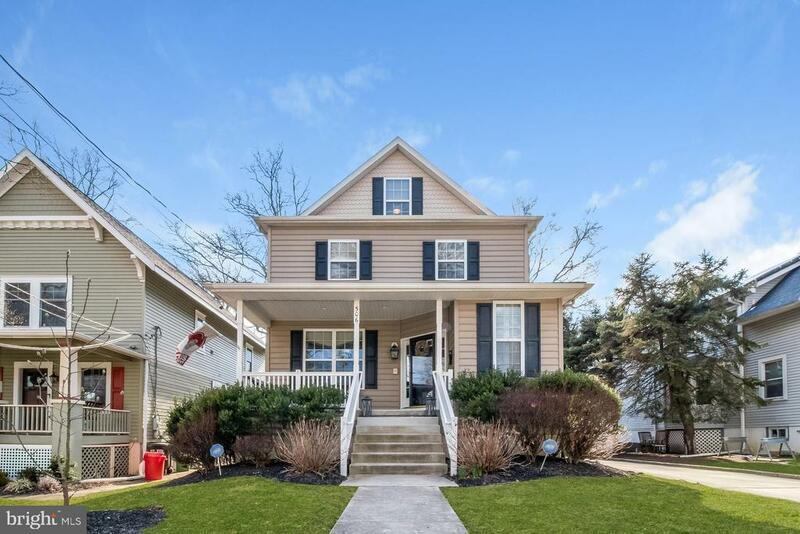 "This lovely Two Story Colonial Style Home sits on what were 2.5 lots in desirable Haddon Heights. This home boasts beautiful grounds that include a blue stone front porch, brick walkways, landscape lighting, Koi pond, goldfish pond, re-circulating stream, two back brick patios, walkways and retaining walls, pergola and shed. The first floor of this home features an entry foyer, powder room, large formal dining room, living/family room, kitchen with granite counter tops and sun room with gas fireplace overlooking back yard. The second floor features a master suite with full bath, two other nice sized bedrooms and full hall bath. The basement consists of a mother-in-law suite with living room, kitchen, full bath, laundry area and plenty of closets. There are plenty more features so don't miss seeing this great home." 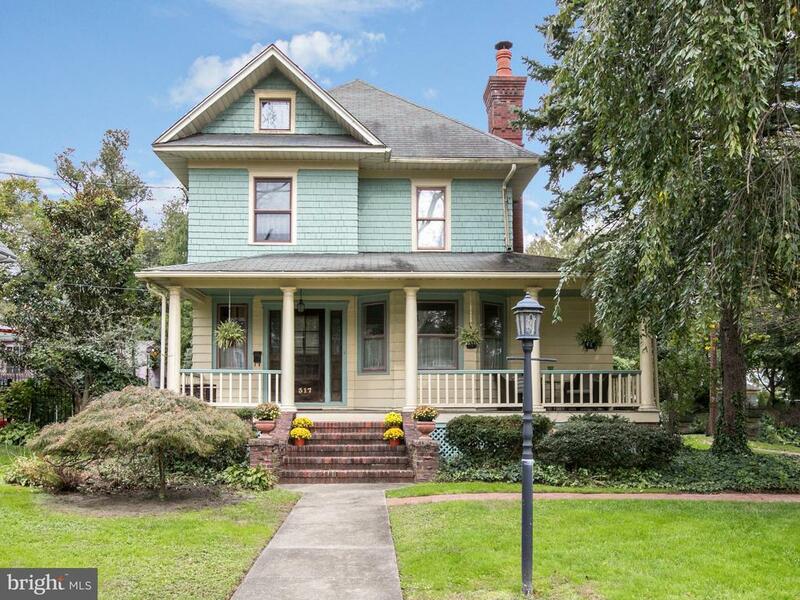 "Wonderful corner Victorian with wrap around porch and foyer entrance loaded with charm. Large formal 27' x 11' living room with wood burning fireplace and Butler Pantry with wet bar off LR. Formal dining room and large eat-in kitchen with full bath and breakfast area looking over beautiful 60' x 200' lot. 2-car detached garage with plenty of storage in upper level. 4-5 bedrooms currently 4 bedrooms with 12' x 11' Master suite with master bath and separate dressing room. 3rd full bath off hallway. 16' x 16' bedroom on 3rd floor with 3 storage areas, including a cedar closet. Workout room and wine cellar in basement with plenty of room for storage. High efficiency Trane Hot Air Heat/ Central Air. Just Reduced $25,000"
"Wow!! 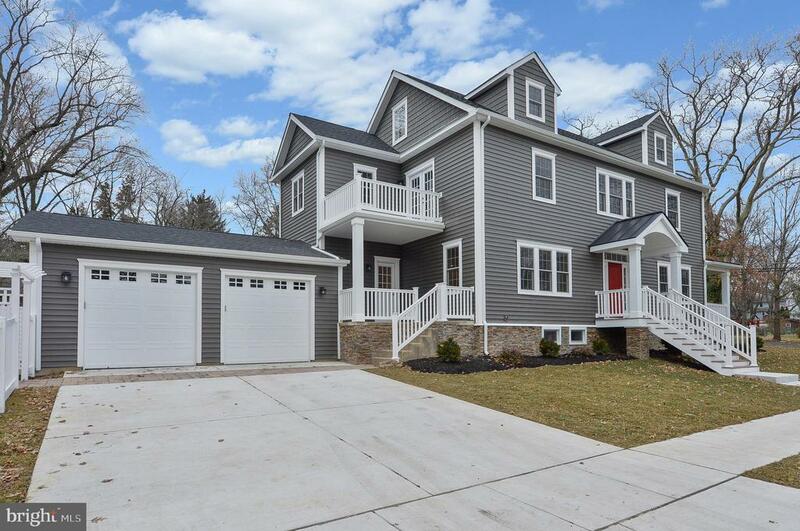 Beautiful New Construction in Desirable Haddon Heights This beauty is fully loaded. The downstairs features an open floor plan. Some of the kitchen's many amenities include Granite counter tops, Stainless Steel appliances, Center Island with over hang for stools, Tons of White Cabinets. Family Room with gas Fireplace and slider out to the rear yard. There is Hardwood Flooring through out the lower level. Upstairs features a master bedroom with en-suite bathroom with large tiled shower and two walk-in closets with cathedral ceiling. There are 3 more bedrooms as well as another bath. There is a detached 2 car garage as well. Great home in a great town!! Taxes to be determined by the Haddon Heights Tax Assessor"
"Sunny, modern custom-built Cape Cod with open floor plan on East Side of Haddon Heights. This 21-Year-Old features a Large Modern Kitchen with adjoining breakfast room opening into a spacious Family Room with Gas Fireplace, custom built-ins and Hardwood Floors. Living Room with custom bookcases and hardwood floors. Dining Room with built in cupboards and hardwood floors. Private First Floor Master Suite and Bath. First floor laundry room. Walk-in attached garage. Second Floor boasts two large bedrooms, modern main bath, open study/den, plus a huge walk-in Attic that can easily be converted to a 4th Bed Room. Other amenities include the attached garage, full un-finished basement, private deck overlooking professionally landscaped yard, low maintenance exterior, zoned central-air and gas heat, and a quiet neighborhood." "This is it! 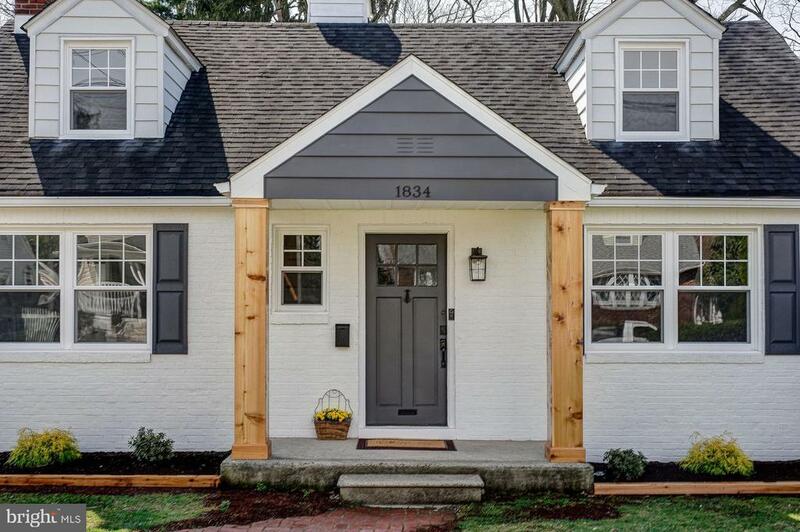 An updated craftsman cottage in Haddon Heights is ready for a new family. With spacious rooms and outdoor space this home is a gem. A maintenance free exterior features a classic front porch that creates a friendly welcome home. With plenty of space to entertain, this home features wood floors in the living room and dining room with archways and mouldings that add character throughout. The home opens to a beautiful, craftsman detailed staircase and living room that is well proportioned and offers a brick fireplace with a cozy appeal. The dining room offers character and plenty of room for holidays and an updated kitchen with plenty of counter space and cabinets delivers with granite and stainless appliances. Theres a convenient ~pass through~ from the kitchen into the family room, making it easy to stay a part of the activity. The family room is large, provides plenty of natural light and a beautiful corner fireplace finishes this center of family life space. An office or guest room and half bath completes the spacious downstairs living space. The second floor offers generously proportioned rooms; 2 bedrooms that share a hall bath and a surprisingly expansive master bedroom and ensuite full bath. A finished basement provides plenty of added room for your needs. The home also offers off-street parking with a long driveway that leads to a detached garage. The backyard is fully fenced and deep, these owners actually created a dog ~park~ fenced in area beyond their family use yard. The detached garage offers door access and creates a great storage/shed type space as well. This home offers so much, in a highly desirable area." "**Home has been remodeled even more! Must see again! 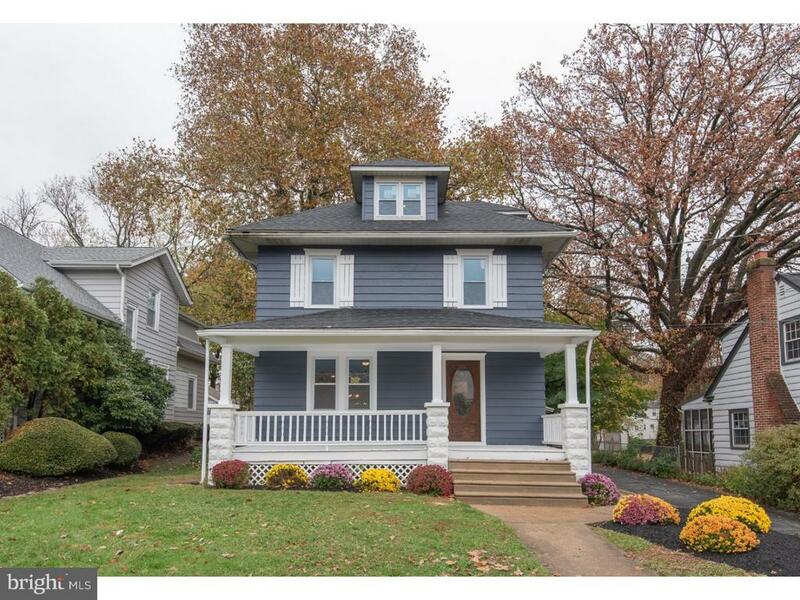 Come check out this newly renovated home in the EAST SIDE of Haddon Heights! Just a block away from the high school, this home has been completely remodeled from top to bottom. The kitchen is equipped with granite countertops, white soft close cabinetry, a wine rack and brand new Whirlpool stainless steel appliances. The first floor of the home has newly refinished wood floors and an open floor plan with a seamless transition from the living room to the dining room. The second floor of the home features two bedrooms with a hall bath and the master suite. The third floor is a large finished space that can be used as a fourth bedroom, playroom or office. The home also comes equipped with brand new HVAC, new roof, new electrical service and panel, new windows and a new deck out back. Plenty of room in the back of the house for parking and outdoor activities. Schedule your appointment now!" 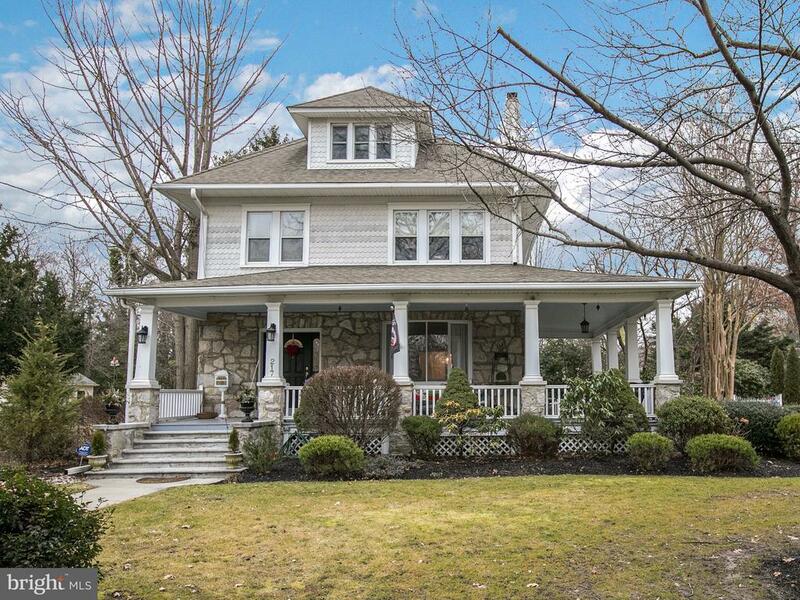 "Very nicely maintained Two and a Half Story Colonial Style Home located in Haddon Heights. This home features an all new blue stone front porch, beautiful refinished oak hardwood floors throughout, formal living room with gas log fireplace, formal dining room with custom crown molding and chair rail, remodeled eat-in kitchen with granite countertops, family room and powder room complete the first floor. The second floor has three spacious bedrooms along with a remodeled bath. The third floor has Berber carpet and two bedrooms. The full basement consists of a game room, kitchenette area and a storage/utility room. To complete this home there is a one car detached garage with automatic garage door opener, EP Henry paver patio and a greenhouse. Truly move-in ready home. Should there be a MOM and property goes to contract, settlement cannot take place until 7-15-19 or later. In reference to the window air conditioning units: We have two 6500 BTU low profile units that go in the front bedrooms, a 6000 BTU unit that goes in the back bedroom, two 5000 BTU units that go in the kitchen and upstairs hallway, and a 10000 BTU unit that goes in the dining room. They will be installed in the windows and will stay with the house when we move out.~"
"WOW!!!! Wait till you see this beautiful home!!! 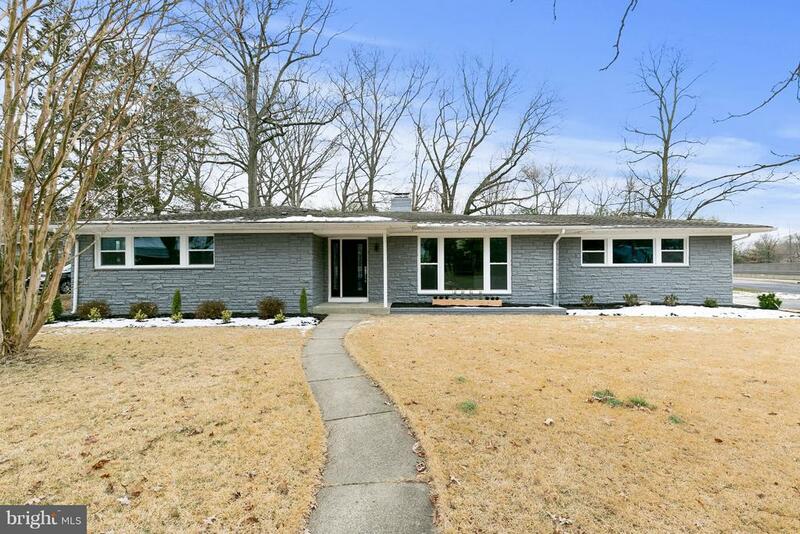 This one of a kind ranch style home features an open floor plan and a full finished basement. Almost doubles the square footage of the home. Giving this home the unique ability to have all one floor living space and still allowing plenty of spread out room for entertaining or privacy. The home has all new windows and doors, new bathrooms, Gorgeous, gourmet kitchen with designer cabinets, large island with quartz countertops with a'waterfall edge, built in microwave and seating. Stainless steel appliances and 40 cabinets, make this kitchen a chef's dream. The open floor plan gives access to the 2 sided gas fireplace. The master bedroom features loads of closet space as well as a master bathroom with large tiled shower, double vanity, touch light-up vanity mirrors. All with high end finishes. The large finished basement feature a dry bar area with cabinets and quartz countertops. It is also well lit with LED recessed lighting and storage. The home features a laundry room with cabinetry for supplies and folding laundry. Just loaded with designer touches and the forward thinking today's modern buyer is looking for in their forever home. This beauty comes with a 2 car garage and driveway is located in the desirable town of Haddon Heights. Don't miss your chance to own this one of a kind home." "Your search is over! Everything you want in this expanded and newly remodeled Haddon Heights home: master suite, huge family room addition, finished basement, garage~ and much more.More than 2,000 sq ft has been meticulously renovated, and includes a spacious living room, a gorgeous NEW kitchen with shaker cabinets, leathered quartz countertops, and all new appliances included. The kitchen opens to the dining room and a fantastic 25 foot family room addition. The NEW first floor master suite is a sanctuary, with new carpet, two closets, and a NEW spacious ensuite bathroom. Two large bedrooms upstairs with their own NEW full bathroom. And a THIRD, brand new full bathroom perfect as a powder room or for overnight guests. Keep going to the finished basement perfect for a playroom or office, laundry area, plenty of storage space and a workshop.This entire home has been freshly painted, interior and exterior, original hardwood floors professionally refinished and stained, all new windows (including basement) Plus for added peace of mind, NEW HVAC with warranty just installed, new electric panel, and newer roof. Outside patios for entertaining, a long driveway offers plenty of off street parking, plus a one car garage.Walk to school and the park yet minutes from 295, the turnpike and bridges! Don~t miss it!" 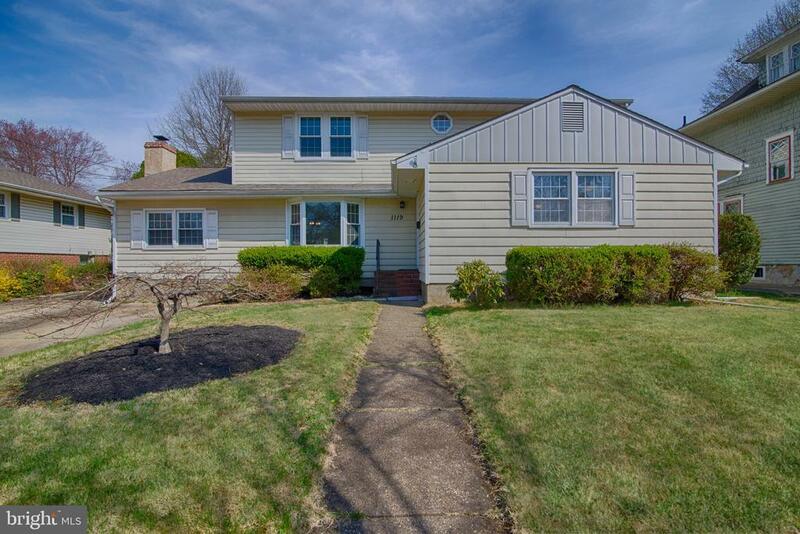 "Wonderful Haddon Heights home with so much to offer!! Enter the large living room with newly refinished hardwood flooring and a beautiful bay window that streams in lots of sunshine. The eat in kitchen is open to the living area and offers white cabinets, new counter tops, new stainless dishwasher, new vinyl flooring, new sink, new garbage disposal and a wonderful pantry closet. NOTE; New stainless appliances coming the week of April. 15th! Step into the welcoming family room which also boasts new flooring, and a brick gas fireplace. There is a first-floor master suite which includes: Master bedroom and a 2nd room being presently used as a sitting area with new refinished hardwood flooring and freshly painted decorative neutral wall colors. The master suite has an abundance of closets space, with 2 large ~his and her closets~. The master bath with stall shower completes the master suite. Also located on the first floor is a wonderful office for those who work from home and another full bath.Upstairs you will find: A second expansive master bedroom with new carpet and a large walk in closet. There are two additional large bedrooms with plenty of closet space. The second-floor full bath has been recently updated with new flooring, decorative lighting, and vanity.Need more space? The basement is perfect for storage and offers an additional area to finish if desired. The basement also is equipped with a French drain and new sump pump and heat.Take a stroll out back to discover a 20~ X 40 ~gunite pool (resurfaced) for summer entertainment! There is also an enclosed patio for barbecues and family gatherings and a large grassy area for playing ball and swing sets!Other amenities and improvements in this fabulous home include: 2 car detached garage with electricity, new tankless hot water heater, new furnace, central ac and thermostat. Roof replacement in 2009. Replacement windows and replacement exterior doors.Minutes from everything! Restaurants, shopping, transportati"
"If you are looking for privacy then put this home on your tour. This home is located at the end of Chestnut Ave on a dead end street and sits on 2.3 Acres. 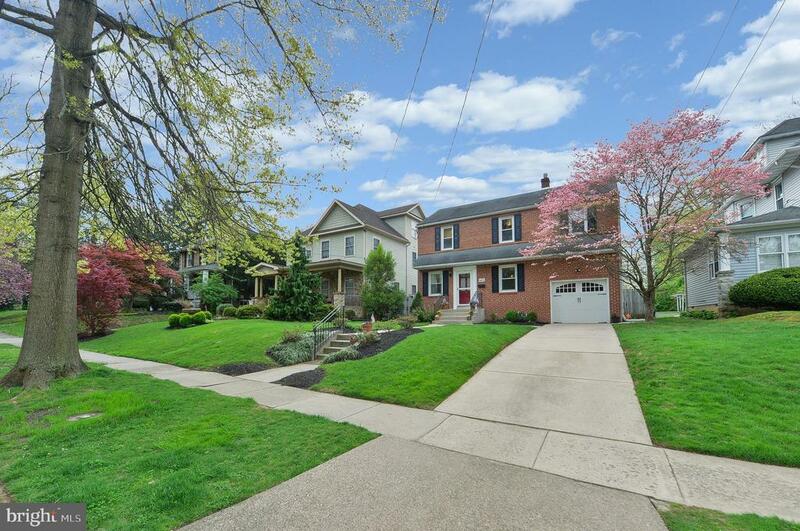 Its hard to find this much land in Haddon Heights. This lot may be sub dividable. The possibilities are endless. Sub division would need to be approved by the Borough. The home is large and features 4/5 Bedrooms, 3.5 Baths, a large stone fireplace in the living room, central air, gas heat. The Master bedroom has a walk in close , small sitting area and full bath. The second main floor bath has a sunk in soaker tub. The living room spiral staircase provides access to the library loft, attic space and the additional bedroom with a half bath. 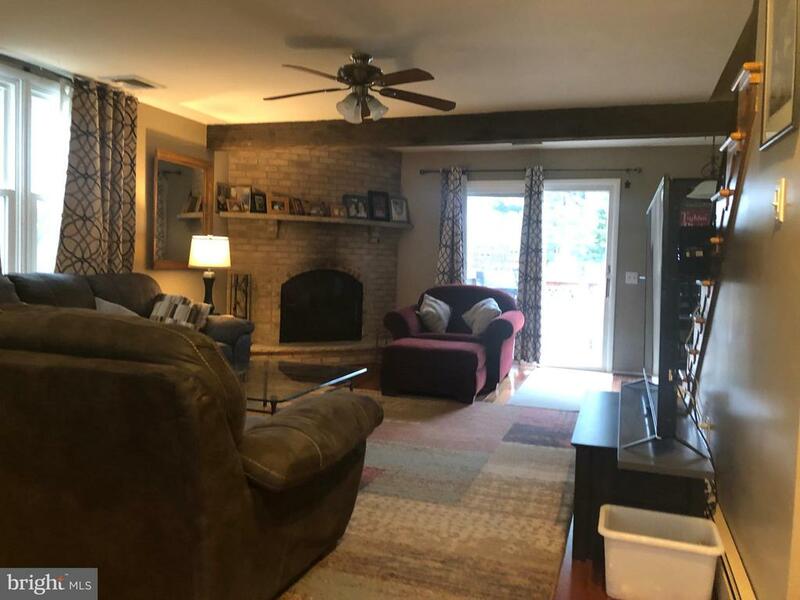 Lower level includes a one bedroom in law suite with a full bath ,separate sitting room, large great room with a Franklin stove, dry bar and a laundry room with French Drain. The home was built in 1976 and the current owner is the original owner. The home is being sold in as is condition." 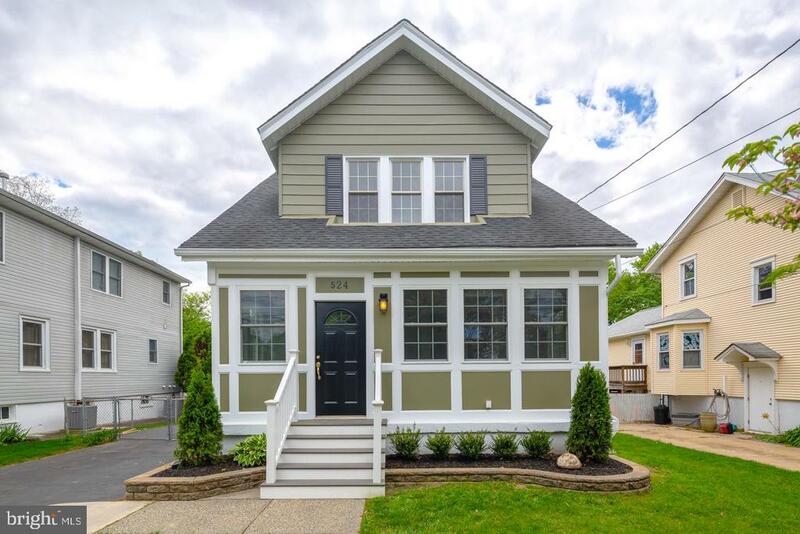 "Welcome home to this 3 bedroom 2.5 bath which was professionally remodeled less than 3 years ago to include modern amenities while maintaining its original charm. The home features original hardwood floors throughout, updated kitchen with granite counter tops and stainless steel appliances, and updated custom bathrooms complete with tiled shower surrounds and built in shelving . There is plenty of natural lighting creating a warm and inviting space. As you walk into the foyer there is a powder room located conveniently on the first floor and bonus room that would make a perfect office, playroom or bedroom. The kitchen is open to the dining room providing an ideal space for hosting. Sliding glass doors lead you from the kitchen to the deck and a large yard, perfect for entertaining. Newer roof, windows, siding, electric, 200 amp service, plumbing, heat and central air, sump pump, and sewer line and the list goes on and on. Beautiful neighborhood located within walking distance to the park and downtown. A must see!" "Come see this before it is been taken!!! Rarely find multi-level house sits on a corner lot features brand new roof, brand new siding, all new windows, 2 zones of HVAC system and newly installed sprinkler system and many many more! Park your car on the drive way, walk up to the freshly poured concrete patio, it will lead you to the WOW kitchen. The absolute stunning modern open kitchen with carefully selected cabinet matches the gorgeous quartz countertop, with all stainless steel appliances! Enjoy your baking and cooking time in this kitchen with ample of natural light and space. Brazilian rosewood solid hardwood floor through out. This home features large bedrooms. very spacious! The house has 2 master suite, one is at the third level of the house, the other one is down at the very 1st floor, which could totally be a flex room or mother-in-law suite, or make it a cozy familyroom /playroom. The basement has been cleaned and leave to you - future owner to finish as however you would wanted it to be. come make an offer, make it yours!" "New reduced price! !Immaculate home in Prestigious Eastside offers 4 bedroom, 2 full bathrooms a finished basement and an oversized lot for children entertainment and summer barbeques. This gorgeous home has went through major renovation including new kitchen with 42 inch cabinets, granite counter tops, backslpash double sink and stainless steel appliance package and under cabinet lighting package. The first floor offers brazilian cherry hardwood floors with newer paint. Living room offers wood burning fireplace, First floor also offers a bedroom with ample closet space. Upstairs you will find three generously sized bedrooms with ceiling fan and main bathroom which was completely renovated with granite vanity, tiled tub and barn door. Upstair also offers a walk up attic which could be used for storage. Finished basement offers a full bath with stall shower. There is plenty of room for entertainment in this basement. Laundry is also located in the basement. Roof was done in 2010 and brick exterior makes this home maintenance free. Large open back yard also offers shed and is fully fenced. 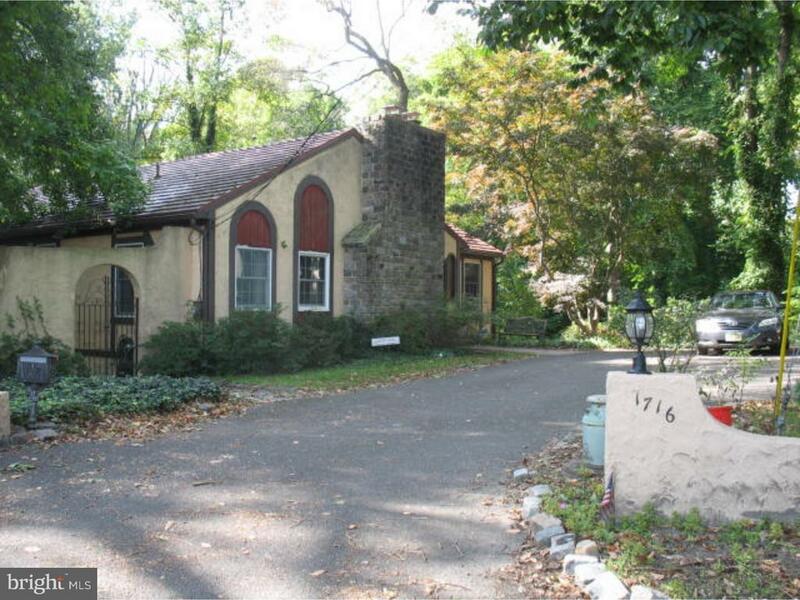 Home is conveniently located close to schools patco PA bridges and all major highways." 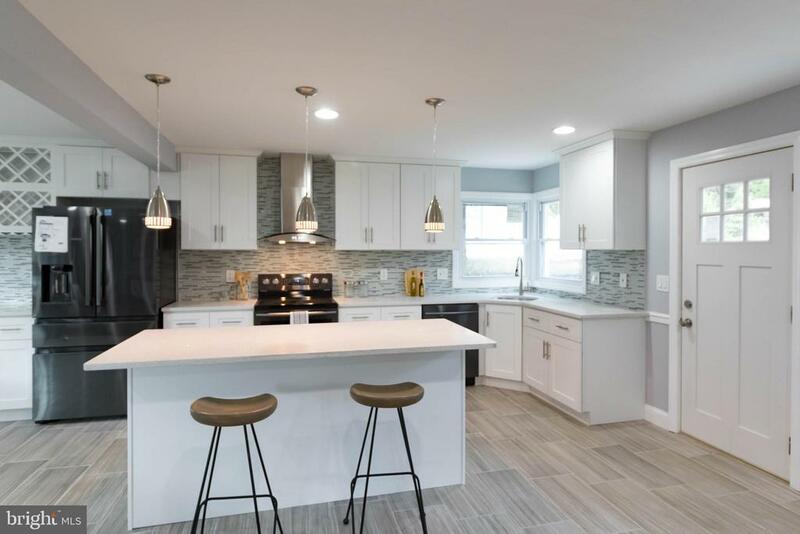 "Come check out this gorgeous, newly renovated roughly 1,700 sq ft, 4 Bedroom, 3 Full Bathroom home with a Detached Garage in Haddon Heights! This homes 2nd story is all new construction. As you walk in you will find beautiful Hardwood Floors, and open concept Kitchen with all new Stainless Steel Appliances and Granite Counter Tops. First floor features one bedroom and one full bath - the 2nd floor features another 2 great sized Spare/Guest Bedrooms & one full Bathroom, as well as a large Master Bedroom and Master Bathroom. This home offers a brand new Roof, new Siding, New HVAC, new Water Heater, new 200 AMP Electric Service, majority of plumbing & electric is all new as well! This home is priced right, and priced to sell - so hurry up in seeing this one!!" "Welcome Home to the Eastside of Haddon Heights! Come check out all the space this home has to offer. Great Eat-in Kitchen with tons of cabinets and storage space, Granite Countertops, Breakfast Bar for those quick mornings getting the kids off to school, Stainless Steel Appliances including a Double Door Refrigerator with built in Ice Maker and ice cold water and an Oversized Deep Sink. Hardwood Floors throughout the home, Fresh Neutral Paint, Family Room, First Floor Laundry Room, Finished Basement and another unfinished Basement for all your storage needs. Front entrance has built in storage benches for all the kids backpacks and sports equipment, along with a very nice enclosed Front Porch. Don't miss seeing this one for yourself, schedule your showing today!" 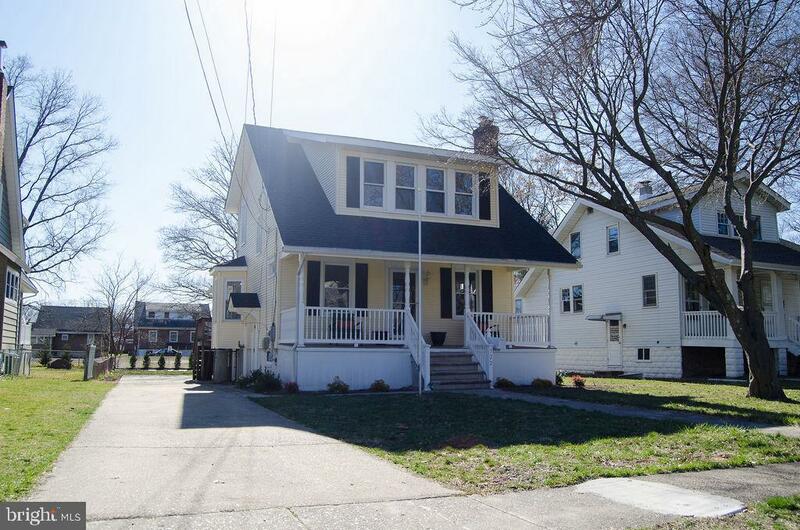 "Gorgeously renovated on a great street in Haddon Heights! The tasteful kitchen features new quartz counters, white cabinets, and a herring bone back splash. Enjoy cozy nights by the beautiful brick fireplace, with stone veneer accent wall. The large main floor bedroom includes a bonus sitting room. Includes new wood look waterproof vinyl floors throughout and a great combination of recessed and natural lighting. Two full baths with freshly tiled floors and showers. With a new roof, central air and over 400 sq ft of basement storage, what else can you ask for? Schedule your appointment now!" "Did you ever dream of owning a Contractors Home? Well here is your chance! Relocating from this 4 Bedroom 2 Full Bath expanded Cape Cod on a Cul-de-sac featuring Newer 50 year warranty roof,Cedar impression siding, Pella Windows,Completely gutted and remodeled Kitchen with Granite Counter tops, all new appliances including Electrolux Gas Stove/oven,Slate floor, wainscoting and Custom Oak Cabinets and Crown Molding. First Floor Family room Addition, Mud Room off kitchen. All new Interior Doors, Hardwood floors, crown molding, new toilets in bathrooms ,opened stairway to second floor, Brand new Amish Shed and Fenced in rear yard. New A roof over front entrance,Tankless H/W Heater and High efficiency Gas HVAC serviced twice a year by Alber. Newer front and side steps at both entrances. OPEN HOUSE APRIL 20th 1-3pm."